(Tricks) Vodafone Launched 3 SuperHour Packs – Get Unlimited 4G/3G Data + Unlimited Calling For 1 Hour. Vodafone SuperHour Packs Are Offering Unlimited 4G/3G/2G Internet Data And Unlimited Calling For One Hour At A Cheap Price. [Updated] Get Free Vodafone Unlimited 2G/3G/4G Internet For 1 Hour 2017. Vodafone SuperHour Packs - Get Unlimited 4G/3G Data + Calls For 1 Hour. The packs are available from 9th Jan’17. These packs give you the validity of 1 hour only. Where you can enjoy unlimited 3G/4G internet data and unlimited voice calling according to your selected plan. You can recharge with these packs unlimited times and it’s available for all Vodafone users. How Get Unlimited Internet For 1 Hour With Vodafone Rs 5 / 7 / 16 Pack. But these packs are currently unavailable on few states including Madhya Pradesh, Bihar, Jharkhand, Punjab, Chattisgarh, Himachal Pradesh, Andhra Pradesh, Telengana and Jammu & Kashmir. 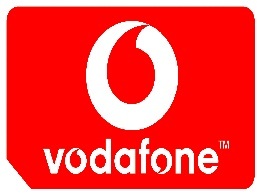 Excepting these states Vodafone SuperHour Packs are available in all circles of India. Below see all the 3 packs with their benefits and validity. How To Recharge With Vodafone SuperHour Packs & Get Unlimited 4G/3G Data + Unlimited Calling For 1 Hour? 1) At first, download My Vodafone android app from this link. 2) After completing download, install and open the app. 3) Login with your Vodafone number. 4) Now select your desired Vodafone SuperHour Packs. 5) Finally, complete the payment. 6) Enjoy unlimited internet or calling for 1 hour. How To Recharge With Vodafone SuperHour Packs USSD Code? 1) Firstly, take your phone & dial *444*4# from your Vodafone number. 2) Choose your desired Vodafone SuperHour Plan. 4) Recharge amount will be deducted from your main balance. 5) That’s it. Enjoy unlimited 4G/3G data & calling for one hour. Hope you have successfully recharged your number with Vodafone SuperHour Packs. Leave your queries in the comment field below. Visit our website regularly for more deals & free recharge tricks. Trick to Get 1.7 GB 4G / 3G internet Data for Free using My Vodafone App Hack.